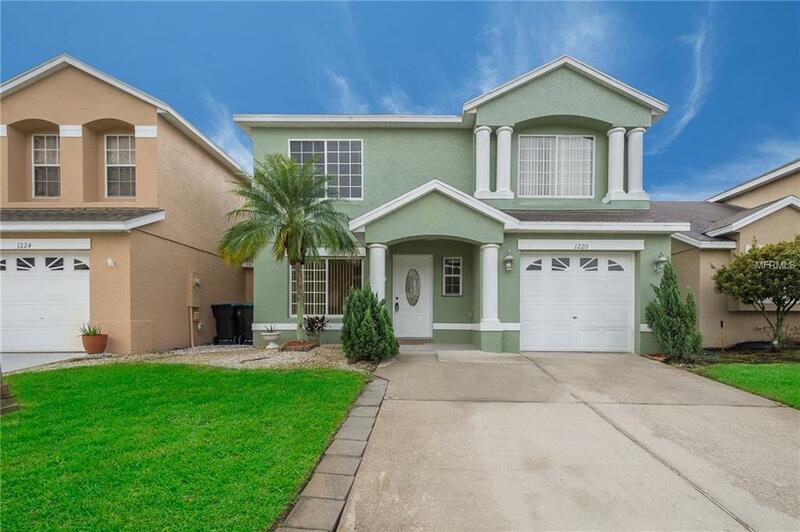 Amazing 4 bedrooms, 2.5 bathrooms. Beautiful kitchen with stainless steel appliances, NEW: kitchen granite, faucets, garbage disposal, sink, GFIs and more. New doors to pool and backyard area. In the bathrooms NEW: vanities and vanity tops, light fixtures, medicine cabinets, mirrors, bathroom floors, faucets and much more. Great screen pool area with lots of space for entertainment with the additional fenced backyard. Property is very close to the two new SunRail stations (Meadow Woods & Tupperware stations), close to FL-417, FL-Turnpike, Orange Ave, Orlando International Airport, Loop Mall and Florida Mall. This house is ready for you and your family. Listing provided courtesy of Realty One Specialists Llc.